Looking for a Cure for Cold Sores? before they appear with the Viral Inhibitor Pro. This little known device can work up to 16x’s faster to stop cold sores over other traditional remedies. If you are frustrated with cold sore outbreaks, we have just the solution you’ve been looking for. Have you tried everything? Are you tired of shielding your face, applying concealers that only make it more noticeable and dealing with the pain and tenderness of the sores while you wait for them to heal? Sick of spending money on doctor’s visits, prescriptions and other remedies that offer no real solution? There is help available that has the ability to work up to 16x’s faster than traditional treatment methods and it is drug-free, safe and painless. The Viral Inhibitor Pro and Cold Sore inhibitor have already been proven safe and effective through clinical studies as well as by over 30,000 happy and satisfied customers. It has taken only one use for many people to be convinced to give up their other treatments and make the Inhibitor their preferred healing method. What is the Viral Inhibitor Pro? The Viral Inhibitor Pro is both a preventative method and an effective treatment tool. 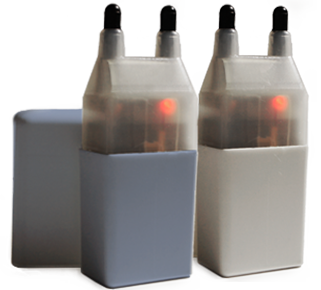 It is a safe, tested and patented device that is battery powered and available without a prescription. When used at the very first tingle it has the potential to stop a cold sore in its tracks. The Inhibitor is not just for treating developing cold sores, but is also extremely helpful at healing existing ones too. When used as directed it has been shown to heal cold sores as much as 16x’s faster than any other treatment method. Best of all, the same technology can treat warts, herpes outbreaks and many other skin concerns. The Inhibitor is designed to be applied to the skin once every 30 minutes when the initial tingle of a cold sore begins or when treating an existing lesion. It works by sending a light current of electricity between the two probes that are located on the top of the device. 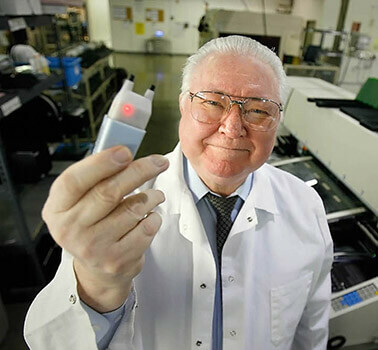 These probes are able to deliver a 10-volt charge that releases less than 10 milliamps of electricity. 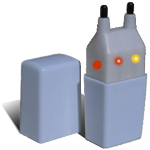 Timed signals on the front of the device light up to alert the user when the charge has been applied. Treatment with The Inhibitor is as easy as centering the affected area of the skin between the two probes and pressing the button. Applying the charge in a criss-cross pattern by turning the device 90 degrees and adding a second charge has proven to be the most effective healing method for the majority of users. Each individual treatment takes only seconds to perform. The charge is painless and leaves no marks on the skin. There are two Inhibitor models available for purchase. There is The Viral Inhibitor Pro and The Cold Sore Inhibitor. Both were created by the same inventor and operate in the same manner. The Viral Inhibitor Pro is a more powerful device and considered a professional model. The two are slightly different in appearance as the Cold Sore Inhibitor device is white and has two lights and the Viral Inhibitor Pro is blue and has four lights. The Cold Sore Inhibitor is perfect for anyone that wants fast relief from the discomfort of cold sores. It is simple to use and proven effective in clinical testing. It is rated to work for approximately 1,0000 uses and remain effective for several years if used regularly. Pain Free Design: Most users have stated that they feel only a slight tingle with use. Many feel nothing at all. Non-invasive: The device will not leave any scars or marks on the skin from use. Drug Free: The Inhibitor is entirely natural and does not use any drugs or have any potential side effects – unlike prescription medications and over-the-counter treatments. Preventative: It is the only form of treatment that has repeatedly been proven to stop outbreaks from occurring. Heals Quickly: Studies have shown it can speed the healing time of existing blisters by 75 percent. Prescription Free: No doctor visit is ever needed to purchase and use the Inhibitor. No Mess: There are no creams to apply or compresses needed. The Inhibitor is safe, clean and fast. No embarrassing trips to the store. Order online at the convenience of your home, phone or office and receive it in a few days by mail. I ordered and received the cold sore inhibitor about a day after my cold sore started. Typically the only thing that helped me to soothe the pain was Carmex, but it only eases the pain not the duration. It would also take up to 5+ days to get rid of the sore completely. This time I used the device on the 2nd day and in less than an hour felt complete pain relief. I kept using it at about 1 hour intervals and this time the cold sore was gone within only 2 days! It’s truly a miracle! I was wondering what would happen if I got it a day earlier when I only felt a tingle on my lip. So my second try happened in about a year when I got a cold and my nose got a small cold sore from rubbing. I used the device once and felt the pain relief almost immediately. Also I noticed the redness visibly started going away! This actually made me write this review! I highly recommend the cold sore inhibitor to anybody who suffers from cold sores. It makes me feel more confident knowing that I have something that will ease the pain and make it go away faster! Chester A. Heath is an Electrical Engineer, a computer systems researcher and a retired professor. He is also a cold sore sufferer. He spent 50 years dealing with cold sores and was frustrated with the failure of medications, creams and other ineffective “cures”. That was why he created the Inhibitor. He used clinical studies to determine the validity of his theory that electricity could help to control breakouts from the Herpes Simplex Virus (the virus that causes cold sores). In a controlled environment he tested his theory on 96 patients ranging in age from 19 to 37. The participants given his method saw results 2.5 times faster than the control subjects. His most surprising results were the additional 23 participants that were separate from the original 97. This group was allowed to self-apply the treatment. It was discovered that their positive results were 14 times faster than when the treatment was applied in the office. A second clinical test completed in 2006 included 29 dental patients. The participants were frequent cold sore sufferers that ranged in ages from 10 to 50. Following the treatment each patient was asked to rate the performance of the Inhibitor. The results of the study were impressive. Overall, 96 percent of the participants rated it as good or better than other treatments. Approximately 68 percent stated they would definitely buy an inhibitor for themselves. A surprising 88 percent said they would recommend it to others. The Inhibitor is not just useful, but cost-effective when compared to prescription medications and drugstore remedies. It requires no doctor visit or trip to the store when the tingling appears. The device is a one-time purchase that is always available and ready for use. Each use will literally cost you only pennies, and since it is able to stop many cold sores outbreaks from occurring it will prevent lost time at work and cancelled social appointments too. With over 30,000 devices sold there are a lot of positive testimonials from happy users. I personally suffered cold sores over 14 years. Trying countless treatments without success I was blessed to discover the Cold Sore Inhibitor. It literally changed my life. I have not had a single cold sore since the day I received it! I am embarrassed to admit I have Genital Herpes Simplex II. Very painful, it caused me to miss important parts of life. Treated in the hospital, I used prescription drugs, with terrible side effects. Then I found the Viral Inhibitor Pro. Applying Viral Inhibitor Pro early, sores never occur and no side effects. THIS REALLY WORKS! It never even surfaced. I always seem to get cold sores at the worst times, (right before a big date) not anymore. I love you guys, thanks for making a product that finally does what it promises. I just wanted to tell you that your product is a miracle. I have had problems with cold sores since childhood. Year after year…finally, I have found a product that keeps me from experiencing that terrible burning sensation and weeks of hiding. I have been using the Cold Sore Inhibitor for three years now. Thank you for making my life easier. The Cold Sore Inhibitor is just $129.95 and the Viral Inhibitor Pro is $159.95. Both come with an exclusive 180 day unconditional money-back guarantee. You can purchase the device during an outbreak, give it a try and return it if you feel it does not work exactly as promised. 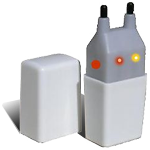 In addition, both Inhibitors come with a one year warranty for any factory defects. During this one year period you can return any defective device to receive a free replacement of the same model. Also included with every purchase is the free book, Learning to Smile Again, written by the inventor of the Cold Sore Inhibitor, Chester A Heath. Place your order within the next 24 hours and save even more money. Today only, all purchases of the Inhibitor and the Viral Inhibitor Pro will receive a $5 shipping discount. This discount will be applied when the order is placed. All orders still come with the same satisfaction guarantee, workmanship warranty and the free book, Learning to Smile Again. Order now and take advantage of this great limited time offer. 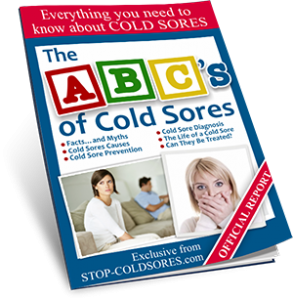 No purchase is necessary for you to receive your own copy of The ABCs of Cold Sores. We normally sell this eBook for $9.95, but because we want you to know more about this frustrating problem we are currently offering it for free.